Studio 83 provides a variety of different massage modalities, bodywork & reiki. We also offer on-site corporate massage & couples massages. 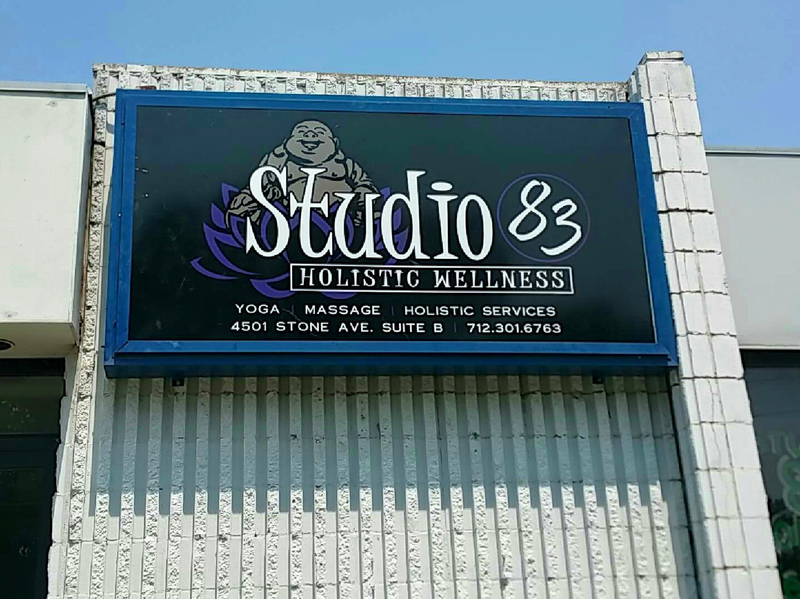 Studio 83 Holistic Wellness is your one-stop-shop massage facility that specializes in bodywork, hot stone therapy, foot massages, Swedish massages, medical massages, aroma therapy and reiki. If you don’t know which massage you need, we’ll take the time to study your habits and determine what level of pressure, temperature, and motion is best suited for your body’s condition. We are located at 4501 Stone Ave Ste B. Our facility has three rooms for massage, bodywork, & reiki. In addition to a yoga studio that will be under construction soon.